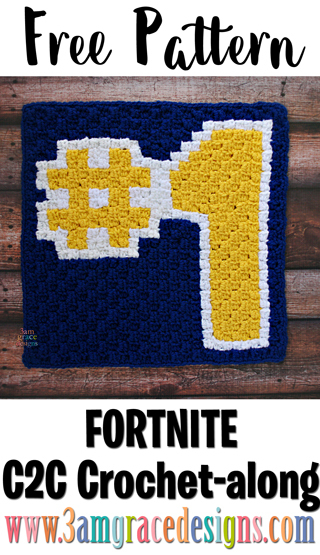 We’re excited for Week 3 of our Fortnite free C2C CAL crochet pattern! We’ve worked hard to design a project you will love! This panel is one piece to our Fortnite C2C crochet pattern & tutorial for creating a game inspired graphgan blanket. This week we have the #1 Victory Royal. 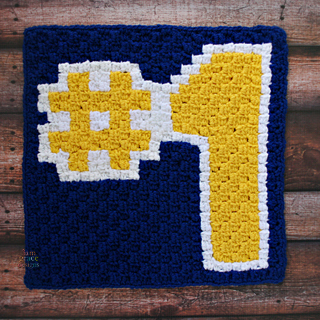 Our #1 is made using Hobby Lobby ‘I Love This Yarn’ in Yellow, Royal, & White. Download the #1 Victory Royal chart. Download the #1 Victory Royal written instructions. Is there a trick to knowing what side is the right side vs the wrong side so I know what side to drop yarn on? I know it says up and down ,is up the right side or ? I consider the front side the one that matches the direction of the chart I’m using. If my chart has a flower on the bottom right corner — then when the crochet in my hands shows the flower on the bottom right also — that is the front or “right” side. 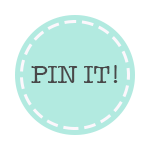 Once you determine the right side, you can always place a stitch marker on it so it’s easier to keep track. I do that sometimes as well.